Doris is Vice President of operations at Personal Financial Profiles, Inc. She attended Florida Atlantic University majoring in accounting and was the controller for several corporations in the South Florida. Doris founded Kristeff Financial Services, located in Fort Lauderdale, Florida, to assist individuals and businesses with complete financial planning services, utilizing her knowledge of tax issues, and has expanded her practice to include ongoing wealth management for both business owners and individuals. 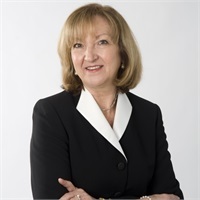 She is a past member of the Board of Directors of the International Association for Financial Planning (IAFP), Gold Coast Chapter, and a former Treasurer and Trustee of the Endowment of All Saints’ Episcopal Church. Doris's professional licenses include FINRA 7, 24, 63, 65 and Florida Life, Health and Variable Annuity. Doris joined Personal Financial Profiles in October 1995, and also is a registered representative of APW Capital, Inc., Member FINRA/ SIPC.